Olamic Tactical's Wayfarer Compact Flipper carries over the highly regarded design of the full-size folder. 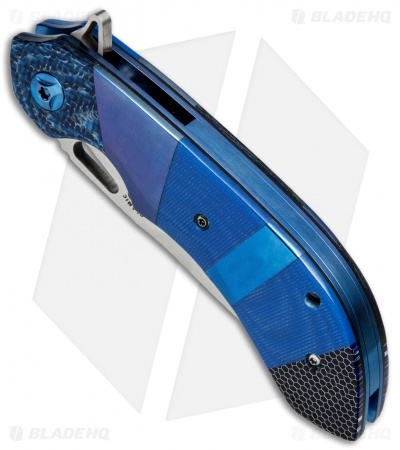 Each model has its own unique blend of materials and finishes. 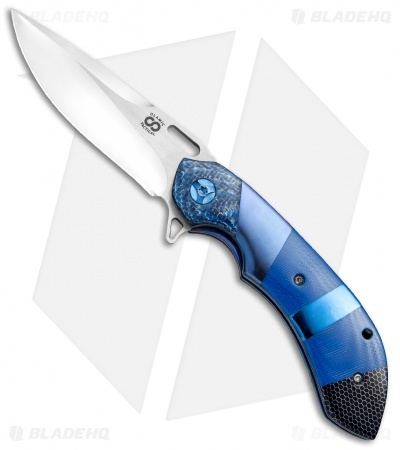 This one has a CTS-XHP stainless steel blade in a mirror polished finish. 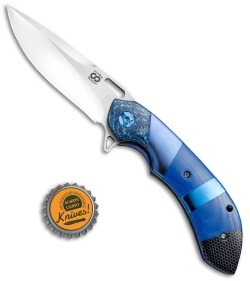 The handle features a patchwork of blue carbon fiber twill, G-10, titanium, and C-Tek over blue anodized titanium liners. The titanium pocket clip and backspacer come in a blue anodized finish. Item is marked with serial number WC049 on the bottom side. Made in the USA. Compact design for more comfortable use and carry. CTS-XHP steel for superior edge retention and surface finish. 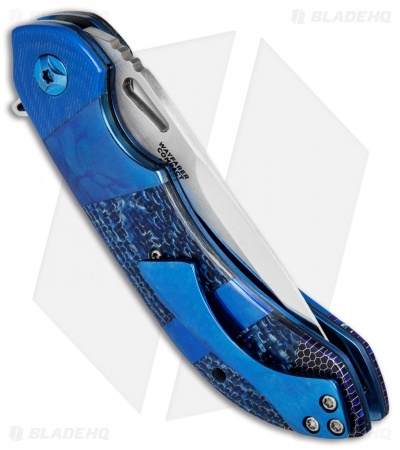 Blue patchwork handle provides a unique, collectible appearance.